Only animals born and bred by us with natural products are slaughtered in the nearby slaughterhouse and then selected in the laboratory of the company store. There is always calves and castrated Piedmontese breed meat, that are considered the best for tenderness and flavor. 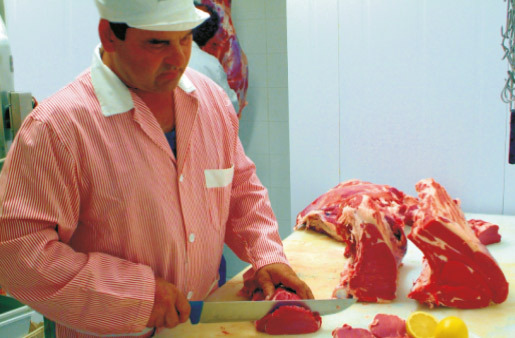 The sale of slaughtered meat is carried out once a month. Two weeks are fixed, one before Christmas and Easter, while the others are made every six calendar months. In spring and autumn, especially during Easter week there will be “local kids”. – It is advisable to book in advance. 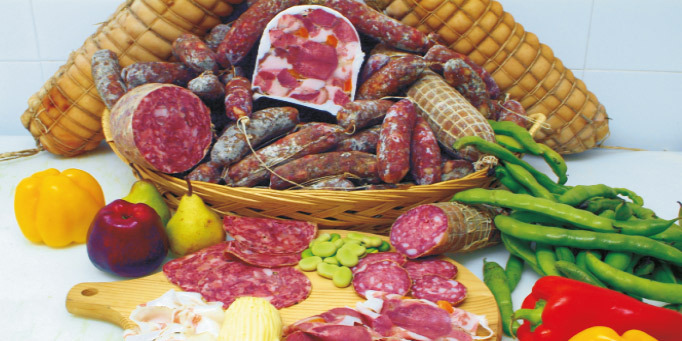 The recipes and the ingredients with which we produce our cold cuts are really faithful to the Monferrato tradition. However, the laboratory of production, the equipment and the cells of the company are modern. Here we work the meat of pigs bred by us in a natural and respectful of the strictest nutritional rules way. Raw salamis of different sizes. The flavor of the past with today’s security, directly from producer to consumer.